Jammu: A BJP legislator’s wife on Friday publicly accused her husband of having an extra-marital affair with a college student and marrying her, in a fresh twist to a case that has seen the MLA appear before the disciplinary committee of the party. 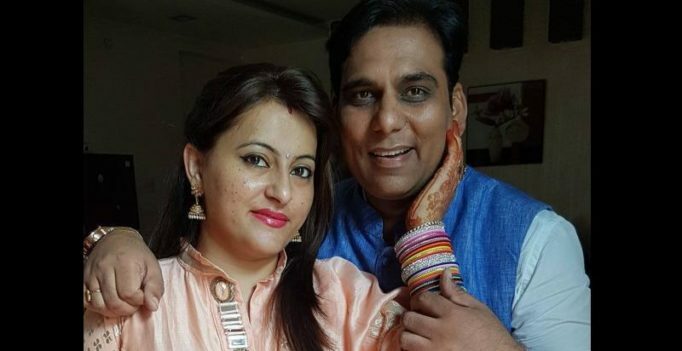 Gagan Bhagat, BJP legislator from R S Pura constituency in Jammu district, has been accused by his wife Monika Sharma that he is living with the student after marrying her. The student’s father, an ex-servicemen, has also accused Gagan Bhagat of abducting his daughter from a college in Punjab. The student and the legislator have denied the charges, calling them an attempt to defame him. On Friday, Monika Sharma negated Gagan Bhagat’s claim he was paying her Rs. 1 lakh a month and said “not a single penny was given by him despite signing a maintenance form before a judge in April”. She made an appeal to the BJP central leadership and also Prime Minister Narendra Modi, saying a “daughter of your own family is seeking justice, not only for myself and my children but also for that girl who had just turned 19”. Monika Sharma said she and the BJP MLA are married for 13 years. Her accusations come a day after Bhagat appeared before the disciplinary committee of the BJP in Jammu to clarify his position. Gagan Bhagat and Monika Sharma appeared before the committee separately amid protests led by the student’s grandfather. The legislator refuted the allegations and claimed he and his wife were in the process of getting divorced. His wife, however, countered Gagan Bhagat’s stand and told reporters that though they were living separately for nearly 10 months, no suit has been filed before any court for divorce. She was accompanied by their 12-year-old son and four-year-old daughter. Monika Sharma, also the state secretary of BJP’s women wing, said she remained quiet for nearly one year in the interest of her family and keeping in mind the future of their children. “I did not have evidence to prove it (then), but now I have the proof and I have presented it before the committee yesterday,” she said. 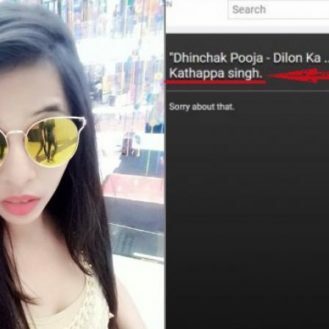 “I have evidence they are married,” Monika Sharma said, showing an incomplete marriage agreement reportedly signed by Gagan Bhagat and the student. She also showed a purported Aadhaar card of the student, which showed her as Gagan Bhagat’s wife and her address on the document as Gandhi Nagar in Jammu. She said she managed to get the marriage certificate before the notary signed it and has cross-checked the Aadhaar card for forgery. During a visit to Ludhiana in November, she said her son, who was accompanying his father, lived with the student who had joined them there. She said Gagan Bhagat visited her a few days ago and asked her not to appear before the BJP disciplinary committee. “Every time I have asked him to leave the girl he told me she might file a case against him if he dumps her,” she said.